Recently, our CTO Travis Logan sat down with Octane AI’s CEO Matt Schlicht to answer questions about Facebook Messenger and its growing impact on e-commerce. As engagement rates continue to skyrocket, Facebook Messenger is a rapidly growing channel in e-commerce. While emails remain one of the most profitable marketing channels, complimenting it with Facebook Messenger, which allows you to talk to your customers in real-time, is a game-changer. “It’s quickly evolving into a must-have channel for all e-commerce businesses,” said Logan. The shockingly high engagement rates are the number one reason for Facebook Messenger’s e-commerce buzz — with an 80% average open rate and 30% average click-through rate. These statistics are way above average email rates, and for good reason — Facebook Messenger provides a one-on-one communication in a more-engaged environment than an inbox. Additionally, Facebook Messenger allows users to opt-in with minimal effort while maintaining a sense of control over their messaging preferences. For example, an email subscription can spark concerns of being enrolled in a variety of newsletters or having that information sold to a third-party. Facebook Messenger opt-ins provide consumers with the confidence that if the messages are irrelevant or unwanted, unsubscribing is easy. By combining Facebook Messenger with email opt-in promotions, you get the holy grail of customer communications. Retailers can use these channels to carry on different conversations with a customer depending on the channel best suited for the moment. For example, a beautifully designed email announcing the launch of a product line similar to items they’ve bought before or maybe a quick messenger chat letting them know an item they’d been browsing was back in stock. Both are great ways to communicate with consumers, but each serves a different purpose and point in the customer journey. It’s this customer journey customization that makes Facebook chatbots so appealing to retailers. Chatbots automate the simplest customer conversations, turning previously tedious tasks into instant delights. Transactional messaging is a huge part of purchase follow-up both on the part of the retailer and the customer. By removing the burden of those tasks in the form of instant order status responses or answers to shipping questions, you’ve turned them into a repeat customer. As Schlicht says in the recording, the first place to start is often their clients' customer support inboxes, which are typically overflowing with thousands of unanswered emails concerning basic post-purchase order questions. If a customer hasn’t received their order on time, they’re already annoyed. Failing to keep the customer informed about order status or respond to a complaint is a lost opportunity to smooth over a rocky situation. Facebook chatbots can change that, using AI to almost instantly provide answers and make the customer feel heard. Whether you’re planning to use Facebook Messenger as an automated concierge with welcome messages or to recover abandoned carts with reminders, real-time messaging will continue to help grow conversions and loyalty. 1. Who are you, what is your story, what brought you into the world of e-commerce? My name is Travis Logan and I am the CTO and co-founder of Justuno. I’ve been in the e-commerce world now for over 20 years. I began my journey in Southern California as a freelancer building e-commerce stores in the 90s and early 2000s. In 2004, I began my transition into a lead dev role at a ski and snowboard shop called sierrasnowboard.com, where we built out a massive online community coupled with an online store that quickly became a disruptor in its space. After that company was acquired in 2009, I helped create a SaaS Social E-commerce platform from the ground up. In 2010, I began working on Justuno with my co-founder, Erik Christiansen. Our goal was to build a SaaS tool that gave the power to build and manage on-site promotions to the marketer roles within companies instead of them having to rely on their development team. What started out with a simple slide out coupon code evolved into what Justuno is today. Justuno is a SaaS visitor conversion suite that enables you to create on-site promotions and messaging through pop-ups, message bars, in-page messages and other means. Our tools help you capture leads far quicker than ever before using our proprietary customer data platform that creates a profile for every website visitor. This lets you create advanced visitor audience groups and show a consistent personalized experience across your marketing channels. 3. What are the top things e-commerce businesses should be doing when it comes to marketing? Many e-commerce businesses put the bulk of their focus on lead generation and for good reason of course, you can't have sales without shoppers. While this is always going to be important, merchants tend to overlook the equal importance of what that shopper’s experience is going to be like while on the website. Alright, you got your sale, let’s focus on ways to get repeat sales from your buyers as well as get sales from their friends. There are many ways to making this happen and you need to have a encompassing approach. Amazon, Walmart…Be careful though not to make this the driving force of your sales. You can quickly get caught up in the new sales generated by these marketplaces, but keep in mind, these are not your buyers these are the marketplaces buyers. This is especially true if you are reselling products vs your own branded products. This is another area that many small businesses fail to place enough priority on. Look, merchants make mistakes and your customer service is on the front line. You should always be listening to them because they know what issues your customers are having. Also, use those mistakes as an opportunity. For instance one of our most powerful discounts when I worked at sierrasnowboard was our sorry10 coupon code. Mistakes in this department cost money as well as repeat business. There are so many variables that determine when and if it makes sense to fulfill your product yourself or to have a warehouse fulfill it for you. Either way, do it fast and accurately and you will beat out 90% of other retailers. 4. What do you think about chatbots and Facebook Messenger as a channel for e-commerce businesses? I love it and I think it’s quickly evolving into a must-have channel for all e-commerce businesses. I’m actually so jealous that I didn’t have this means of communication back in my own online retailing days. In those days, we actually built our own messaging app that could be downloaded to your phone and computer manually using Flash and some other tech. We were able to reach our huge online community for sale promotions, as well as our daily giveaways to drive them back to our website. With Facebook Messenger and companies like Octane AI, all tech burdens have been removed and device and account subscriptions is a click away. 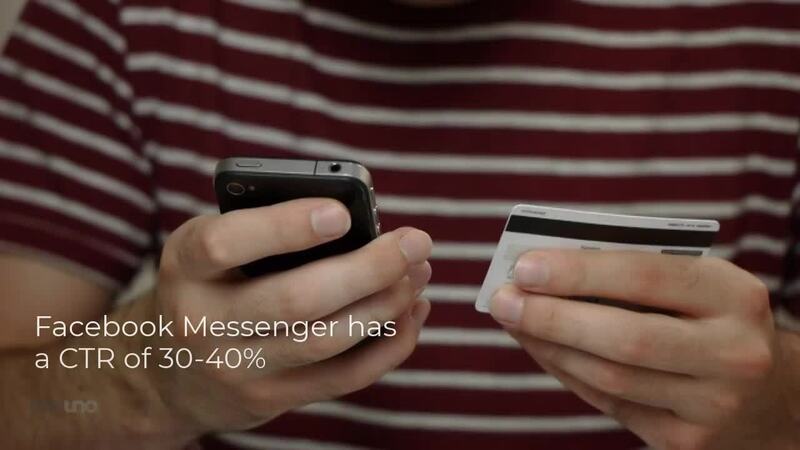 The merchant simply needs to focus on subscribing Facebook users and then messaging them. 5. What do you think chatbots will be able to do in the future? Where is this channel going? I think that much like the marketplaces that were once pretty much just Amazon, chatbots will continue to expand across many channels beyond Facebook. Any broad social media app installed on devices today would be a good option. Apple and android could easily build this into their mobile device texting apps. Other apps like WhatsApp have already begun to launch their own chatbots. All it takes is a company like OctaneAI to seamlessly blend all these chatbot channels into one easy to manage messaging platform for merchants. 6. What's your #1 tip for the e-commerce businesses out there? I’ve never been know for keeping answers to these types of questions short. I’d say start with an e-commerce platform that takes the burden of development off your plate as much as possible so you can focus on your product or services. But make sure the platform will grow with you as well. If you are just starting out and have limited resources then focus on driving people to your website before stressing about how to eek out every last bit of conversion optimization on your site because it’s very hard to even gauge success until you have a reasonable amount of traffic. Pick a small set of necessary apps that every e-commerce site should have, install them set them up and move on for now. Once you have some site visitors then begin your onsite visitor conversion optimization train. Get to know your website visitor flows through other tools and google analytics and find your website’s weak points to improve. This is a never ending game. Also, make sure to celebrate small wins with your team, not just the large ones. Lastly, you have to have a vision. Every successful company I’ve ever known was led by a vision. 7. How can people connect with you online and learn more? Visit our website at www.justuno.com to learn more about our products, features, and pricing.